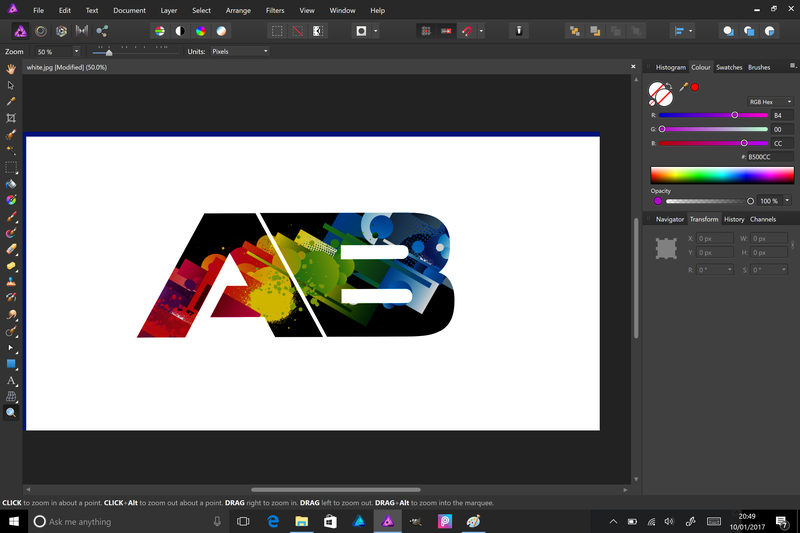 I'm fairly new to Affinity and was wondering if there is a way to crop or mask a selection slightly less than the actual selection itself. 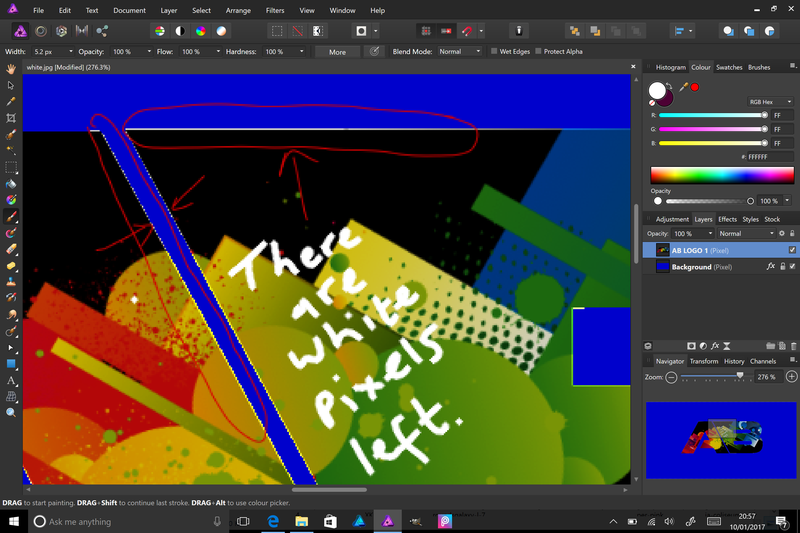 What I mean is, when you mask a shape, it leaves a slight layer of the background pixels on your cropped image. I have tried to 'refine' this, however, this does not work effectively enough. Just looking for something which will save me going around the entire image with a small eraser. Go to Affinity Preferences, Performance section and tick Use precise clipping. This should help in some situations. Regarding masking/cropping can you post a sample afdesign/afphoto file so i can see what's going on? 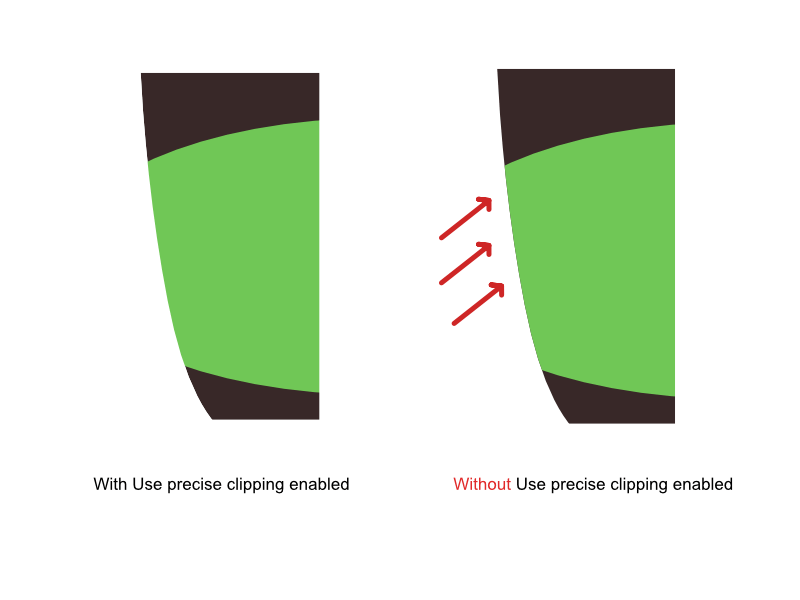 Could you explain a bit more about what Use precise clipping affects? What is the downside of enabling it vs. the upside? Take a look at the screenshot below. I've clipped a green shape inside a black shape. The downside is the performance of the program is affected if you have lots of clipped objects. Thank you for the reply. I have attached 2 images. One before the cut / mask / whatever you want to call it, and one after. As you can see from the second picture, there are white pixels left from the background. I have tried refining and things but nothing works except goind around the whole image with an eraser. I was just wondering is there an option where you can reduce the selection size of the selected pixels. Sort of squashing them in just a mm or two inside the image to avoid cropping some of the background of the original image. Thank you for your help.